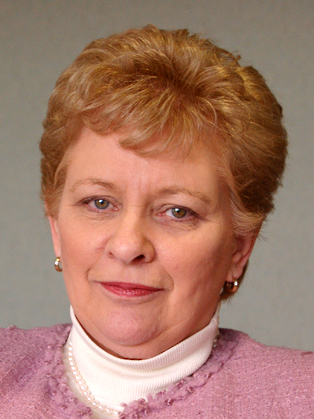 Baroness Nuala O’Loan DBE MRIA is an inspirational woman with a prolific career as a public figure in Northern Ireland. In 2009, Nuala was appointed to the UK House of Lords, and was elevated to peerage later that year where she still sits on the crossbenches. Nuala is a Member of the Joint Committee on Human Rights of the UK Parliament since 2012, and has, since 2010, been a Member of the Delegated Powers and Regulatory Reform Committee of the House of Lords, whose key and important role is to examine Bills before the Lords and report on powers proposed to be delegated to Ministers. From 2012, Nuala has been a Member of the EU Sub Committee ‘E’ on Justice Institutions and Consumer Affairs of the House of Lords. In December 2010, National University of Ireland, Maynooth appointed her as Chairman of its Governing Authority. Baroness O’Loan was admitted to the Royal Irish Academy along with Belfast-born Michael McElroy, professor of environmental studies at Harvard University in the US. This represents the highest academic honour in Ireland and was awarded to Baroness O’Loan as the result of her significant contribution to life in Ireland. Baroness O'Loan is currently a member of the Independent Panel monitoring PSNI investigations of UVF murders. Furthermore, from 1999 to 2007 Nuala was the Police Ombudsman for Northern Ireland, responsible for the investigation of all complaints of criminal behaviour and misconduct by police officers, and of other matters involving possible police wrongdoing not the subject matter of complaint. The Baroness is also active internationally, and is working with the Basque International Contact Group on the ETA issue in the Basque Country, whilst also being a Member of the Club de Madrid NETPLUSS. In the UK, Lady O'Loan is still very much active. She is currently a Council Member of the British Irish Association. The Baroness also chaired a Formal Investigation into Human Rights in England and Wales for the UK Equality and Human Rights Commission in 2009, and in 2010, conducted a review for the UK Home Office, of allegations of abuse of people being detained and deported contained in a document entitled “Outsourcing Abuse”. Lady O'Loan's previous roles in the UK have included being the Chairman of the Northern Ireland Consumer Committee for Electricity, a Special Commissioner for the Commission for Racial Equality’s Formal Investigation into Racism in Policing in England and Wales, being a Member of the Northern Ireland Police Authority and Vice- Chair of the Police Authority’s Community Relations Committee, a Member of the Northern Health and Social Services Board, a Convenor of the NHS Complaints System for the Northern Health and Social Services Board. She was also a Member of the General Consumer Council for Northern Ireland, and Convenor of the Transport and Energy Group of that Council, a Legal Expert Member of the European Commission’s Consumers Consultative Council, and was a Custody Visitor to police stations in Northern Ireland. She is also a qualified solicitor and held the Jean Monnet Chair in European Law at the University of Ulster. She has produced more than 100 articles and other publications on law, policing, faith and other issues. In the course of her work she has spoken widely at conferences, and acted in an advisory capacity to government agencies responsible for policing and police accountability in countries such as India, Brazil, Indonesia South Africa, Uganda, Malaysia, USA, Canada, Finland, The Netherlands, Macedonia, Romania,The Republic of Ireland, Timor Leste, Spain, Portugal and throughout the United Kingdom. She was a Counsellor and Marriage Preparation Facilitator for 16 years with ACCORD, previously the Catholic Marriage Advisory Council. She has spoken on matters of faith to priests in a number of Archdioceses and Dioceses across Ireland, and to wider audiences in conferences, parishes and communities in England and Ireland, North and South. She has published chapters on faith issues, particularly relating to accountability governance and child abuse issues, in a number of books, and in journals such as the Furrow and Studies. She is a regular correspondent for the Irish Catholic. She has received honorary degrees of LL.D from the University of Ulster, the New University of Ireland Maynooth, the Higher Education and Technical Awards Council, Ireland, and Queen's University Belfast. She received an award for her outstanding contribution to police accountability from the US organisation NACOLE. She was awarded an Irish People of the Year Award in 2008 and has received many other awards.